Verona’s floorplans are definitely unique, definitely not cookie cutter! Creative use of space keeps you wondering—what’s around the next corner? Perhaps the generous walk-in closet off the main bedroom! Possibly the direct access into your garage! Maybe the built-in work space for your home management and business tasks! Even your in-home washer and dryer! 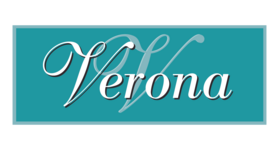 With six distinctive floorplans to choose from at Verona, you will have a wonderful time choosing the one you like the most! Ranging from 818 to 1188 square feet, each apartment home is notable for its open-concept kitchen, living and dining areas. Vaulted ceilings and ceiling fans add to the airiness, and a balcony or patio extends your living space outdoors. The Milan and the Mellini include one bedroom and one bath, endless closet space, built-in desk area, and a very nice flow to the floorplan. For two bedrooms and one bath, the Serrano is just the thing: large bedrooms, deck off the living room, and lovely nook eating area. Messina and Terano floorplans have two bedrooms and two baths, and you will love the added built-in cabinetry with extra storage space. Finally, the Vercelli is comprised of three bedrooms, three baths and the special bonus nook with built-in countertop work space.